Tiffany’s resilience is amazing. I’m so happy for her and look forward to her continued growth. She did a fabulous job narrating the book, almost as if we were in the room together. Keep going Tif! 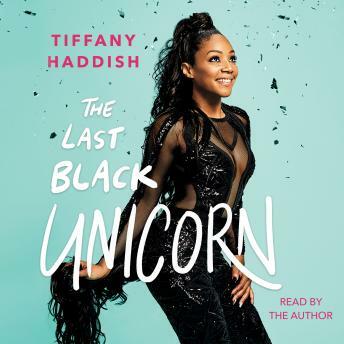 Love this book and I love how Tiffany keep it real! Narration and Book was amazing! Must Read! Kudos to you Tiffany! You did an absolutely flawless job at telling YOUR story. I had all the emotions possible, and ended the book smiling. Continue being humble and authentic. I’m ready for the second installment! Ayyyeeeee!!! I love her story. Tiffany inspires me and I love that she's reading it to us. May god to continue to bless you along your journey! And I hope Roscoe finds you. Hit me up if you still need an assistant! Such an amazing book! It’s so amazing how she can turn such traumatic events into triumph! I was so excited that she narrated her own book, it made it that much better! Tiffany is definitely my friend in my head! You could hear Tiffany’s joy, pain, triumphs and regrets as she read through the memories of her own life. This book it's soo great. having the real author as the narrator was a bonus. having tiffany reading the book makes it real. loving it! !